The currency market is the largest and most liquid of all financial markets. However, the percentage of successful traders is very low. Lack of proper trading strategy and indiscipline are generally the reasons for trading losses. 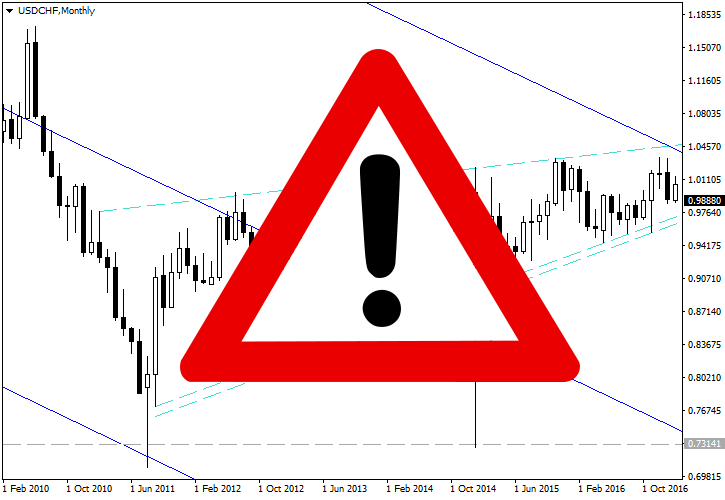 However, there are some inherent factors unique to Forex market that makes it a dangerous playground to be in. We shall look into the facts which makes Forex trading look bad. Economic data and geopolitical developments ultimately strengthen or weaken a currency. However, interpreting these fundamental factors is not easy. Strong economic data may even keep a currency weak due to some other reason. For example, the Japanese yen often has an inverse correlation with the Nikkei index. When Nikkei Index rises, the yen may decline even if the recent economic metrics has surpassed the estimates of analysts. Traders who had taken a long position based on good macroeconomic news would have lost if they had used tight stop-loss orders. An incident supporting the above argument can be seen in the life of John Maynard Keynes, one of the greatest economists of all times. Keynes was responsible for the foundation of World Bank and International Monetary Fund. He was well known for his path breaking theory that rubbished the idea that free market would automatically provide full employment. He ventured into currency trading at the end of World War I and pooled his friends’ money into it. Obviously, a person of such a stature was expected to perform exceedingly well by identifying big trends in European currencies. However, to the utter disbelief of everyone, he lost all the entire capital. Currency trading proved to be very difficult for such a renowned economist. Many a times, a retail trader may not get the unambiguous view of the situation. That may result in erroneous judgment. A currency which may look weak could be actually consolidating to go up as macroeconomic factors may be favoring an uptrend. The rise of the greenback after the 2008 financial crisis is a good example. The US dollar gained against the G10 rivals as soon as the 2008 financial crisis broke out. Many had expected the greenback to lose value. Instead, the opposite happened as markets across the world fell short of the US dollars required for day-to-day operations. The US Federal Reserve, the lender of last resort, had to step in and fill the void. Ironically, the financial crisis began with the US based Lehman Brothers filing for bankruptcy. Thus, traders and even some analysts expected the greenback to plunge. Only those traders who had thorough knowledge of the entire banking system could have made money or at least protected themselves. Not all retail traders are privileged to receive crucial information. The inclusion of the Chinese yuan as the reserve currency by the IMF has added another layer of complexity to the Forex market. It is very hard to clearly guess or know what is happening in China. Thus, an unexpected real estate, stock market, or corporate credit crash may have far reaching implications across the globe, and retail traders are certainly ill-equipped to meet those challenges. It is not uncommon to see Forex brokers offering a leverage of 1:500 or more. A trader who does not have an ability to manage risk will soon lose his entire capital by using a high leverage. To increase the overall trading volume, Forex brokers offer high leverage. That encourages beginners to select a wrong leverage and lose their hard earned money. The inadequate presentation of the low margin requirements by FX brokerage companies further increases the vulnerability of retail traders. A beginner using a leverage of 1:100 may sometimes realize a 100% profit in a matter of a few minutes. That would make the trader feel overconfident and start dreaming about generating returns of 400% to 500% per week or even per day using high leverage. Ultimately, the account balance is put under a huge risk of being blown due to such greed. The Forex market operates on a 24/5 basis and there can be many trading opportunities at any time. The continuous inflow of economic indicators and geopolitical news across the globe ensures that at least a hand full of currency pairs would be trending at any time. That could encourage a trader to repeated buy and sell currency pairs always maintaining several open positions, resulting in considerable overtrading. Growing losses from poorly judged trades would spur the trader to open even more positions. This vicious cycle can easily cause a ruinous addiction to trading. Forex market can turn volatile anytime. Unlike equity markets that remain largely unaffected by political developments happening elsewhere, currency markets can exhibit a sudden increase in volatility. Thus, a trader has to constantly monitor the charts, track political developments, and also keep a watch on incoming economic news. Still, many a times a trader may be tempted to enter or exit earlier than planned and it might prove costlier later. Inexperienced traders would be easily stressed out by such demanding activity, which could have a devastating effect on one's health and personal life. Choosing an honest broker is itself a skill in the currency market. The foreign exchange market has a decentralized over-the-counter nature. Thus, it is easy to set up a shop in a relatively unheard island and swindle the unsuspecting newcomers. There have been numerous stories of beginner traders getting ripped off their entire investment in a short duration. Those who cannot allocate adequate time to learn trading look for investment opportunities. They are often taken for a ride by scammers who claim to be experts in trading, and accept deposits guaranteeing high interest rates. The fraudsters would soon disappear, leaving investors high and dry. Often, due to lack of confidence, new Forex traders expect some support from seasoned professionals. Scammers take undue advantage of such beginner traders’ insecurity by setting up websites offering entry and exit signals for a particular fee. The websites would also provide fake or tampered proof of past performance. Innocent traders who use those services lose their entire capital quickly. Since the traders follow the signals blindly, they will not be able to decipher the reason for the loss. That would ultimately create a permanent fear in their mind about the Forex market. The above mentioned facts indicate why Forex trading can be bad and should be avoided by people who do not want to educate themselves. However, those willing to learn from their mistakes and use a serious business-like approach get a chance to succeed in the trading profession.